THROUGHOUT the years, Rangers have been represented in the World Cup by a host of players, both current and either past or future. From the early years where really only Scotland would have players from Ibrox, to more recent times, where a total of 26 different nations have traveled to the ‘Greatest Show On Earth’ – the Light Blues have made a real impression on the biggest stage in football. 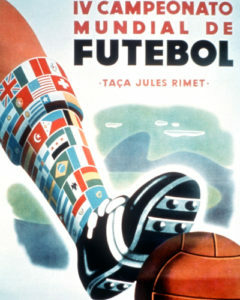 That said, it took until 1958, and the sixth staging of the World Cup for Rangers to be properly represented, with Scotland not entering any World Cup until the 1950 edition in Brazil. However, the Scottish FA’s then Secretary, George Graham, had insisted the Scots would only travel to the tournament if they won the Home Nation Championship, in spite of FIFA offering places to both the winners and runners-up in the Championships. With both Scotland and England defeating Wales and Northern Ireland, a draw at Hampden against the Auld Enemy would have been enough to see the title shared between the two, and both would have gone on to Brazil. Despite Scotland missing a plethora of chances, they fell to a 1-0 defeat thanks to a Roy Bentley goal. They would have to settle for second place, and while in the eyes of FIFA that was good enough, that wasn’t the case for the SFA. Captain George Young, who was also an established Rangers player at the time, led the protests to Secretary Graham, with his pleas encouraged by England skipper Billy Wright. They fell on deaf ears, however, and the Scots stayed at home. It remains a real travesty that Scotland team, built around Gers’ famous ‘Iron Curtain’ defence never made it to a tournament. Indeed that fateful England match saw Young line-up alongside Sammy Cox, Ian McColl and Willie Woodburn – four of the five members of the Iron Curtain – as well as the legendary Willie Waddell up front. ON then to 1954, and despite FIFA setting the same qualification parameters for the home nations and Scotland again finishing second, this time they traveled to the World Cup, but with a vastly altered squad from the one which would likely have gone to Brazil in 1950. Of the initial 22-man squad, only future Ranger Ian ‘the wee Prime Minister’ McMillan (pictured) was selected, with that number later cut to 13 ahead of their journey to Switzerland. McMillan didn’t make the final pool, and the Scots crashed out in ignominy following a 1-0 loss to Austria and then a 7-0 demolition at the hands of Uruguay. 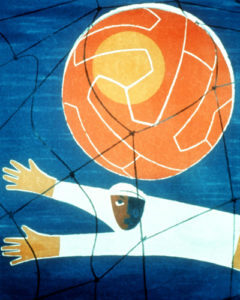 FOR the 1958 tournament, FIFA implemented a qualification system more familiar to modern eyes, with the Home Nations split into a number of different groups with their European neighbours. Impressively, Scotland qualified ahead of both Spain and Switzerland to make it to Sweden, and England, Wales and Northern Ireland joined them there too. From Rangers, Ian McColl, Eric Caldow, Sammy Baird and Alex Scott all traveled with the Scots’ party, while Billy Simpson made the Northern Ireland squad for their first ever trip to a World Cup. Scotland’s tournament began with a decent 1-1 draw against Yugoslavia, although Caldow was the only Ger to make the starting XI. That was followed by a 3-2 reverse to Paraguay, where again, Caldow was the lone Ranger. It all came down then to the final match against France. Again, Caldow lined-up, but this time he was joined by Sammy Baird. Trailing 2-0 at half-time, Baird netted on 58 minutes to give the Scots hope, but it wasn’t to be, and not for the first time in a tournament, they were on the first flight home. For Billy Simpson with Northern Ireland, he had to settle for a place on the bench for the entire tournament as they made it through the group stage to the quarter-finals. 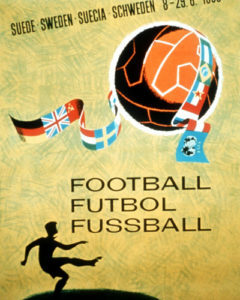 A 1-0 win over Czechoslovakia followed by a 3-1 loss to Argentina and a 2-2 draw with West Germany saw them finish the group level on points with the Czechs, and a play-off between the two was called for. The Ulstermen ran out 2-1 winners to set-up a quarter-final with France, who Scotland had earlier run close, but their terrific run came to an end, with the French cruising to a 4-0 win.